Images play an outstanding role in the transfer of knowledge. They are used in numerous academic disciplines to present scientific results. Digital tools such as Adobe Photoshop make it possible to display the information in images brilliantly and clearly - at the same time the line between appropriate and inappropriate manipulation is not always easy to draw. Scientific journals have published guidelines for handling and editing images, but they are not always specific enough to provide clarity for all situations. 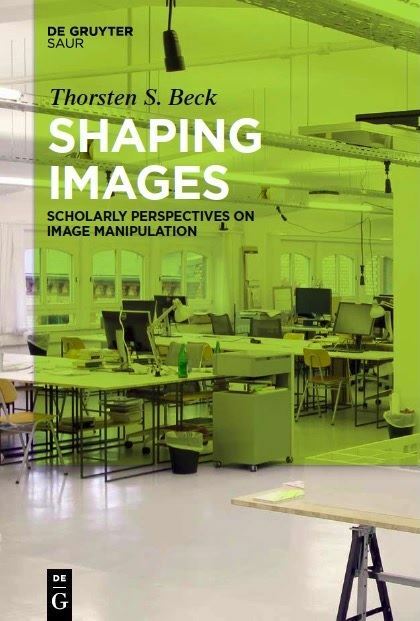 „Shaping Images" examines how scholars from biology, information science, art history and design deal with this uncertainty - how they process and manipulate images, where they see their special potential and how they draw the line between appropriate and inappropriate image manipulation. The work also looks at scientific journals and lets selected editors have their say: What would have to happen to make it possible to combat image manipulation in science more effectively? The book's interdisciplinary approach makes it clear how different the practices are and how different the views are on what should be allowed in the processing of images. Images - this too is problematized in the book - are always a means to a certain end, which is precisely why the handling of images should be thoroughly reflected upon.